Now you can have a dedicated team of experienced and certified Microsoft ASP.NET Developers from HireRussians to make your ideas come true! An Internet or Intranet Websites. You hire the ASP.NET team from HireRussians for establishing website to promote your business ideas or development an Intranet website for optimizing and managing the processes for your enterprise. It could be E-commerce system embedded with multimedia modules, fully customized B2B network to collaborate on projects, custom-designed CMS for creating community stuffed by various web services and many more. Web services and Web solutions. Sometimes you need just separate web application for implementation in existing web system or like the independently existing and proceeding element. For example, this could be such web application as plugin for web browser, shopping cart solution, web-based calendar with time schedule management system and everything else for creating web resources which will be extremely attractive and useful for users of any interests. ASP.NET control and accessing data in databases. ASP.NET Developers of HireRussians have mastered the art of creating fast, dynamic and stable websites with Microsoft-powered background functionality, which allows online processing of huge MSSQL databases inquiries by many users simultaneously. Server connection using ASP.NET. Solid experience of HireRussians developers includes implementation of clustering solutions in ASP.NET, i.e. the use of unlimited number of servers located at great distances. When web site’s structure is constantly increasing it require more servers to store information and have access to databases. Order ASP.NET multi-server development to make your servers work together effectively. Integration with other Microsoft products. All the ASP.NET websites developed by HireRussians have perfect integration with other Microsoft products and services such as Microsoft Sharepoint CRM. 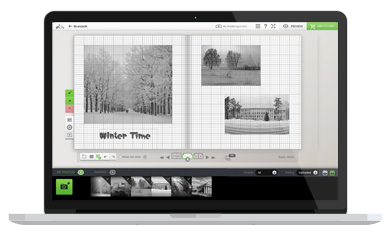 Matisseo is a huge, reach-featured web-to-print solution, allowing users to create shareable photo albums that can be edited, paid for, submitted for print and tracked, all online. On the backend the system totally automates order processing and prepress. Second project with HireRussians and still extremely satisfied to work with them. This is a second success and I guess I am going to work with them for a while. I have already opened a new project with them! This video hosting and sharing service is intended for both, uploading videos to show them on demand and streaming live events. 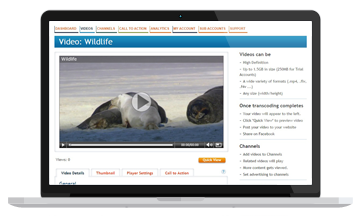 A user can organize videos in channels, add advertisings and conduct analytical reports. The HTML5-based video player can be branded, and landing pages — be created under the user's or company’s domain name. We've worked with HireRussians since 2009 developing several new technologies for our business. I've been very happy with their expertise and response to any issues that require response. HireRussians has a broad set of development skills to help you with any kind of project. They have very good people to work with and I would absolutely recommend them. 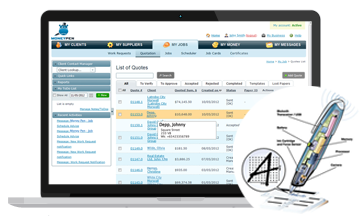 Powerful CRM along with digital pen provide capable management system for scheduling work, time-tracking, materials usage evaluation and invoicing, all while being on the go. Software developed by HireRussians recognizes handwritten work orders generated in the field thus reducing time, waste and automatically converting job cards into invoices. The system is targeted at service companies such as electricians or plumbers. After trying several companies, all claiming to have the skills and experience we needed, we found that HireRussians was a good fit with our needs. We knew we needed to pick a long term development partner and focus on building trust and communications to ensure success. We have found the HireRussians' team is always ready to listen and our team always works hard to deliver a great service.